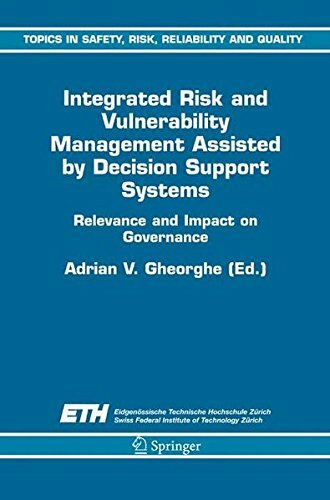 Introduction This book includes terms of reference and offers an augmented volume of relevant work initiated within the comprehensive concept of “Knowledge Management and Risk Governance”. The latter stood for the initial title of an ad-hoc meeting held in Ascona, Switzerland, organized by the Technological Risk Management Unit of the Joint Research Centre of the European Commission (JRC) and the KOVERS Centre of Excellence in Risk and Safety Sciences of the Swiss Federal Institute of Technology, ETH Zurich. Background Risk governance, in addition to the continuous interest of researchers, has recently attracted the attention of policy-makers and the media and the concern of the public. New and emerging risks in various fields and a number of risk-related issues increased the public interest and prompted for a new framework in dealing with risks. The Conference on Science and Governance organized by the European Commission in October 2000 is one of the international forums addressing this issue. Other recent events such as the establishment of the International Risk Governance Council outline the importance of the governance concept in relation to that of risk management (see www.irgc.org). At the same time noticeable progress has been made in Information Technologies and Decision Support, passing from the process of information PREFACE xvi to the process of knowledge. In this context new tools and methods became available, whose application in risk management may be beneficial. If you have any questions about this product by Adrian V Gheorghe, contact us by completing and submitting the form below. If you are looking for a specif part number, please include it with your message.